The federal government plays a vital role in pharmaceutical drug regulation. We have many reasons to be proud of the systems for drug safety already in place in Canada. Yet there’s room for significant improvement. Over the course of nearly three years, the Senate Standing Committee on Social Affairs, Science and Technology has studied prescription pharmaceuticals in Canada, and our findings are summarized in the newly tabled report, Prescription Pharmaceuticals in Canada . We heard hundreds of hours of testimony from a wide range of experts in the field on the strengths of our regulatory systems, but there was also a strong chorus of criticism from those who believe we can do much better. 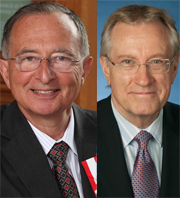 For example, we heard frequent testimony regarding Health Canada’s passive role in drug regulation, its lack of transparency in relaying safety information to the public, its inability to conduct adequate inspections at all phases of a drug’s life-cycles, and we witnessed, in some cases, the department’s failure to provide our Senate committee with reliable testimony. But there’s room for optimism. Over the course of our study, we made a number of recommendations for updated legislation and regulations, many of which are reflected in the newly adopted Vanessa’s Law (Bill C-17). Key to this new legislation are transparency provisions, including the introduction of a requirement for the public disclosure of clinical trial and drug safety information, improved mechanisms to collect post-market safety information, the power to recall unsafe products when necessary and new penalties for regulatory violations – all concerns raised during the course of our study. The Committee heard compelling evidence that there is an urgent need for substantially improved physician training in prescribing “off-label” and addictive pharmaceuticals. “Off-label” refers to drugs that are prescribed for use beyond the approved criteria; our report reveals that the extent of off-label prescribing is not known and, in fact, physicians are frequently unaware that they are prescribing off-label. Consequently, little is known about the most common types of off-label use. We need improved data collection and for the Drug Safety and Effectiveness Network to take an active role in assessing off-label drug uses. We also need an enforcement of the prohibition on off-label drug promotion by drug manufacturers. The report also emphasizes the need for regular and accessible “take back” programs to collect unused prescription drugs to keep them from being discharged improperly into the environment. We can make Canada a model pharmaceutical regulator on the world stage. We’ve taken the first steps, but let’s not let the journey end there. Canadians deserve safe, effective, accessible and reliable pharmaceutical drugs when they need them. The only way to do this is through perpetually improved systems framed by transparency and openness.